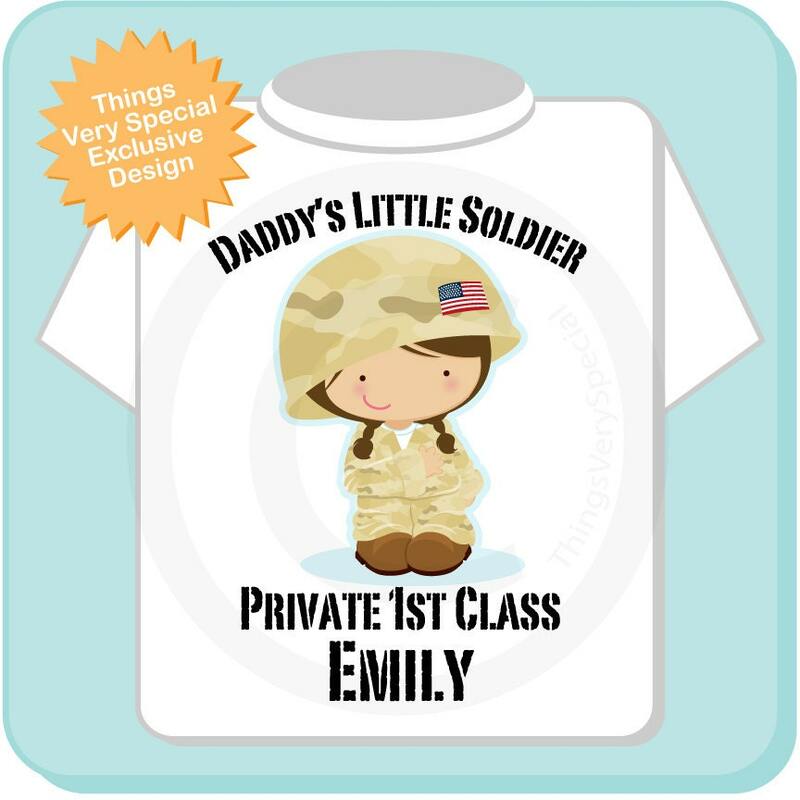 If your little girl is her Daddy's little soldier. Then this cute little girl in her oversized camo gear and her hand over her heart would be the cutest thing for Daddy and her to wear when he's in his camo gear. It gives her the rank of Private 1st Class and her name below the rank. This could also be Mommy's little soldier instead. And the hair color can be changed as well. SO cute! 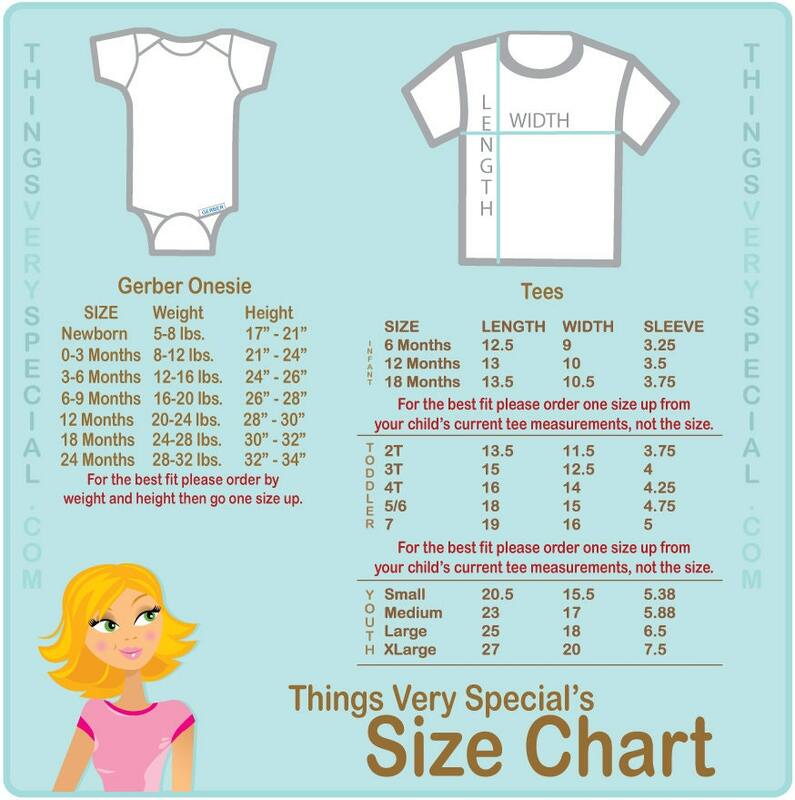 I bought 4 matching tees for my grandchildren to give them at a baby shower for their new baby. The shirts made such a hit at the party - great quality, adorable designs, couldn't be happier.